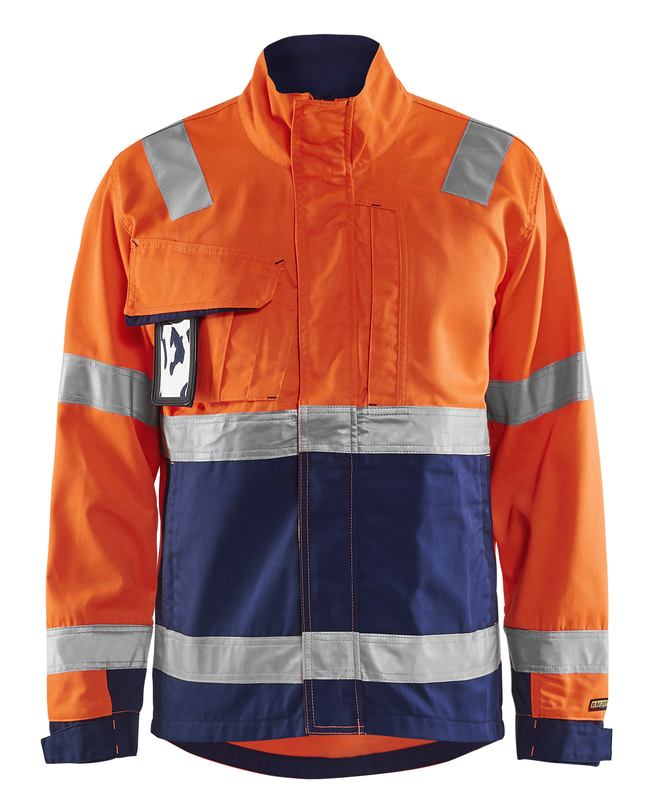 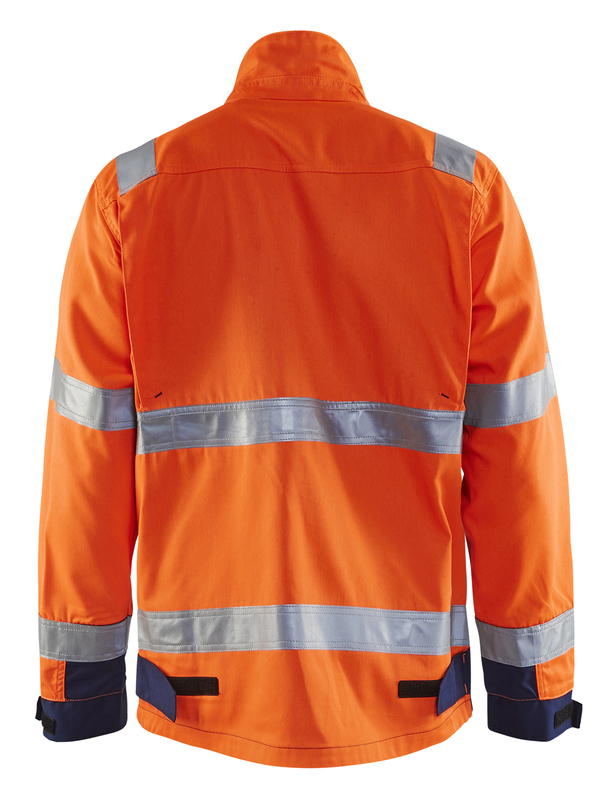 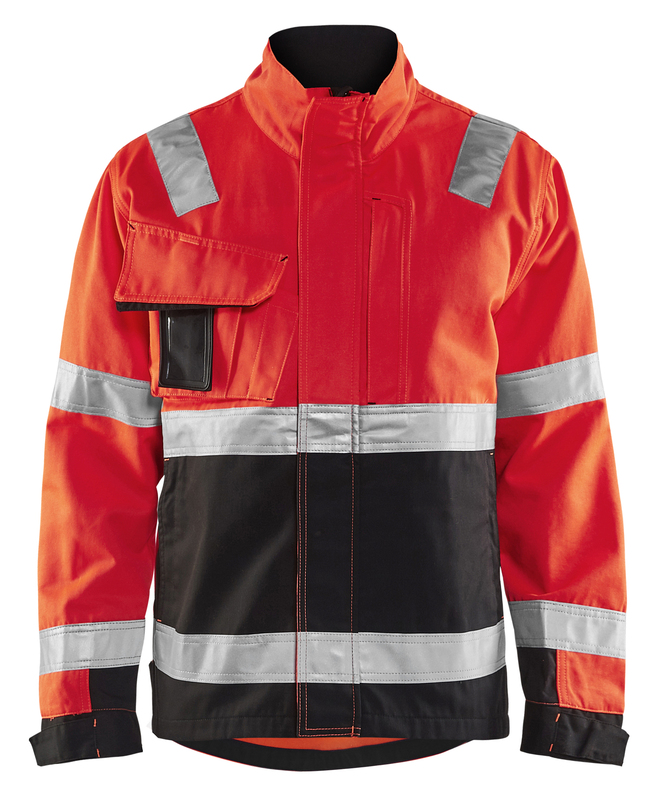 Highvisibility work wear jacket designed to be seen in every direction - even when bending down. 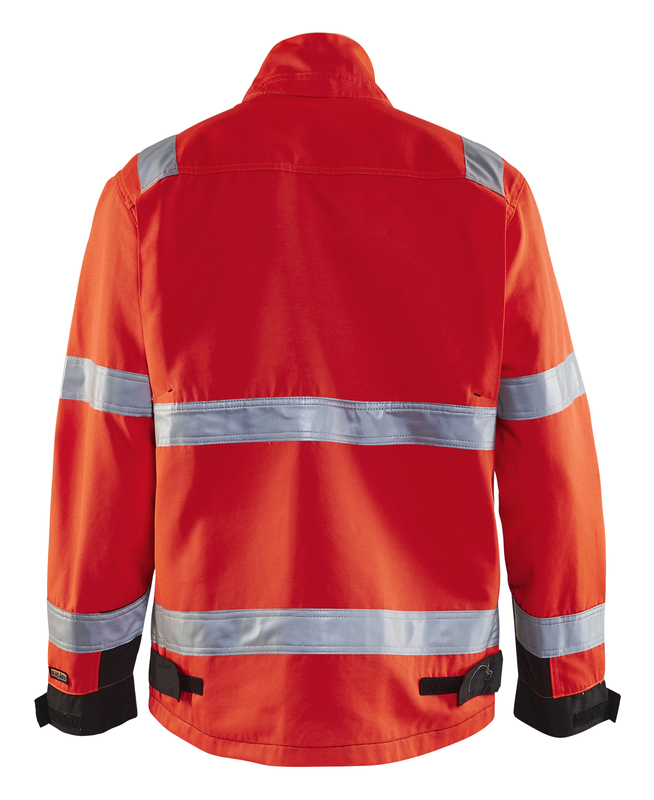 The durable, light and water repellent material assures high comfort and optimal functionality. 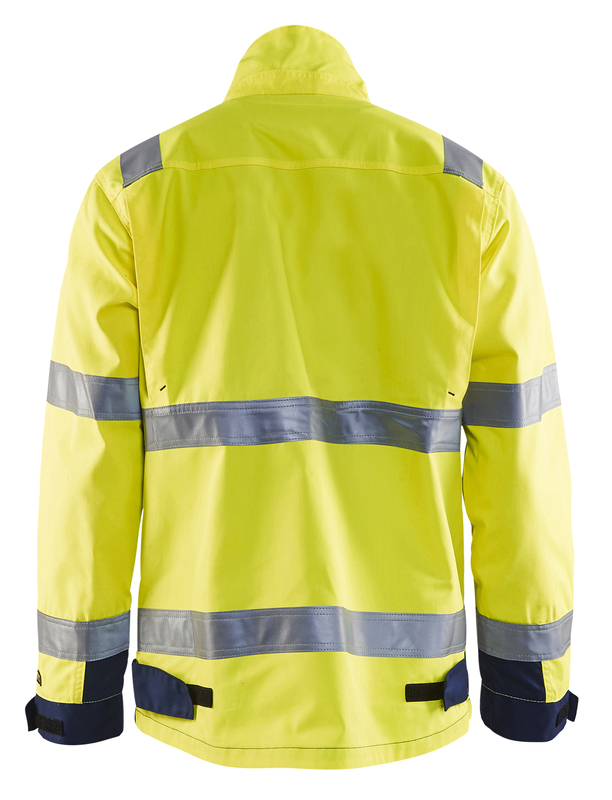 Shorter front for maximum freedom of movement, longer back for better protection over the lower back. 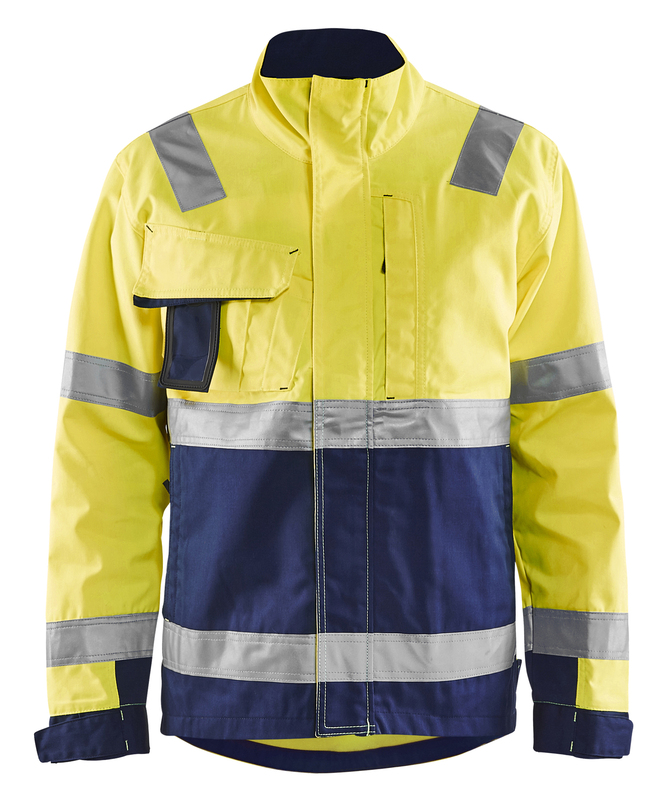 Easy accessable pockets for all your needs combined with good fitting, comfortable material, function and enhanced security make this jacket ultimate for hard work on a warm day. Certified according to EN ISO 20471, class 3.